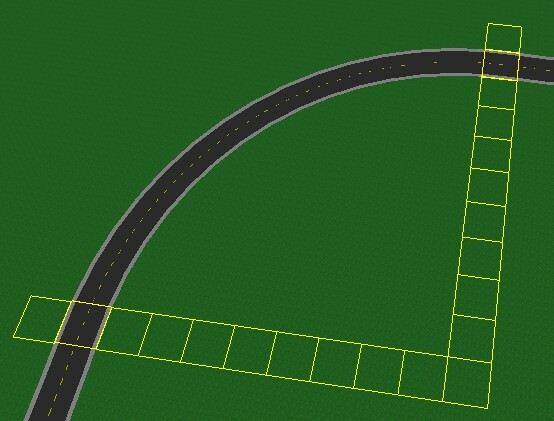 Using any H sized walk object (10m x 10m, such as street1.rwx, walk001h.rwx, etc), you can create perfectly angled roads that will stick to a standard grass grid using H sized walks. This method is extremely useful when creating any sort of build using H sized objects, such as land objects or hill objects. It is perfect for creating curvy hills without having ugly caps or cracks.